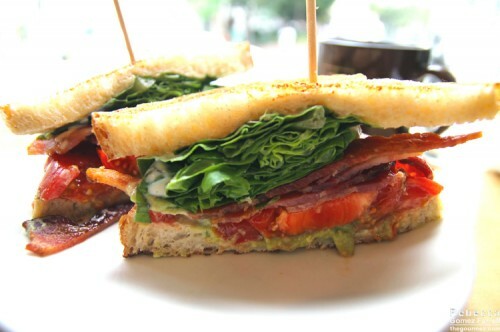 Last summer, the husband and I moved away from the Research Triangle Park area of North Carolina after spending eight years watching the cities expand and their food scenes skyrocket off the heat-charts. Seriously, the New York Times is obsessed with the place! So I was excited to head back for the weekend in mid-September—my head’s still spinning from the other side of the country over all the new foodie destinations that have sprung up just this past year. While my husband gave a presentation at NC DevCon, I decided to spend my weekend exploring as many of downtown Raleigh’s newly opened spots as possible. 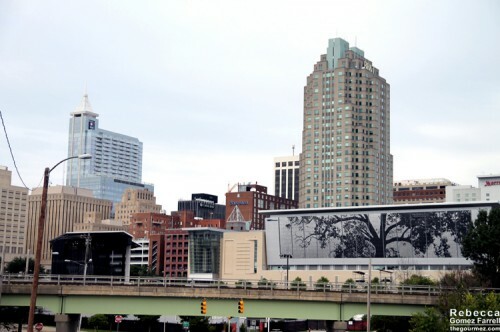 Why Raleigh and not the rest of the Triangle? I had no car and was staying downtown. It’s that simple. I needed to focus on places I could walk to. 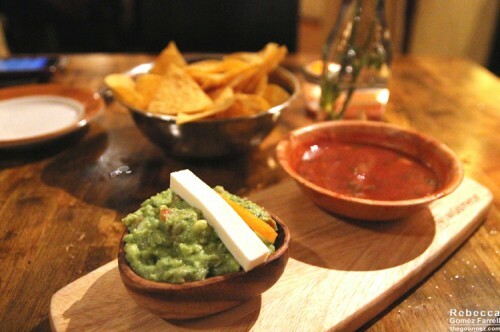 After our flight in, my first stop was Jose and Sons (327 W. Davie St.) for dinner. 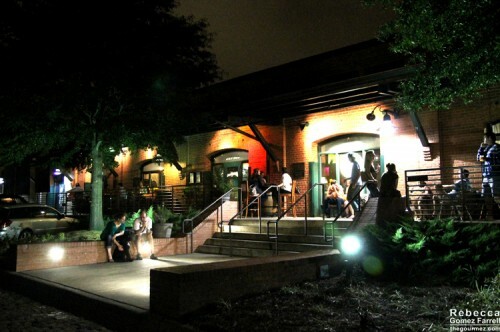 It’s the newest incarnation of one of my favorite Triangle restaurants, Jibarra, located in the fast-redeveloping Warehouse District right by the train depot. 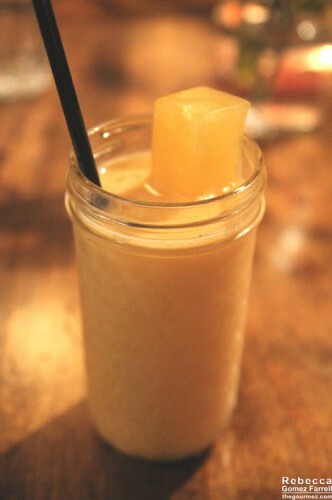 –I have to give solid props to the Booze and Mango cocktail. That’s dessert in a glass, and it’s a beautifully balanced one, too. Vanilla rum, Grand Marnier, cream, and what Jose and Son’s calls a mango popsicle and I’d call a mango-flavored ice cube make for a worthy night cap. But I didn’t let it be my night cap, of course! 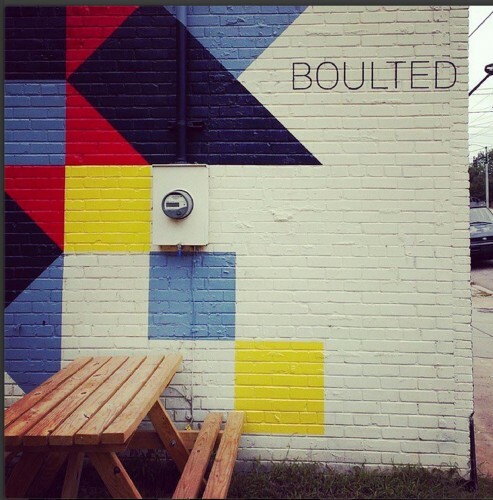 As we headed back toward the hotel, our attention was caught by one of Raleigh’s gazillion new breweries. 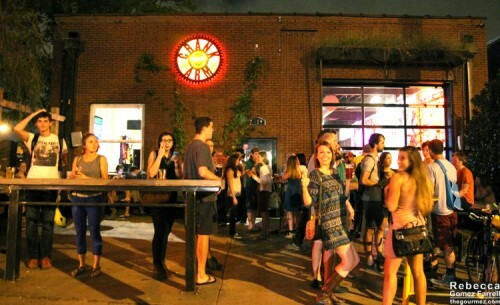 This one’s just around the corner from Jose and Sons, and it appears that NC State’s students have claimed Crank Arm Brewing (319 W. Davie St.) as their own. The bicycle theme feels both whimsical and utilitarian at the same time. 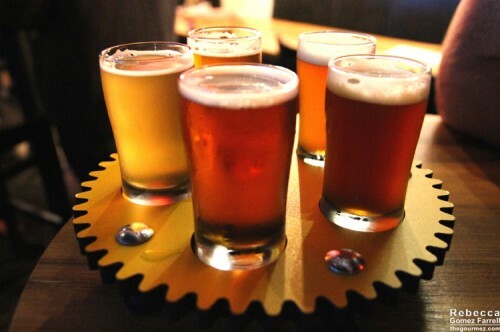 The novelty of their tasting wheel has its own appeal—only $8 to try five of Crank Arm’s beers! Not pictured is the Holy Spokes, a porter jazzed up with habanero and chocolate nibs from next-door bean-to-bar chocolate factory Videri (327 W. Davie St.). 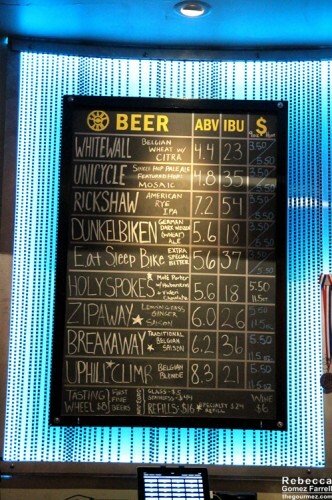 I found most of the other beers on the thin side, but the Holy Spokes was definitely worth a tipple. 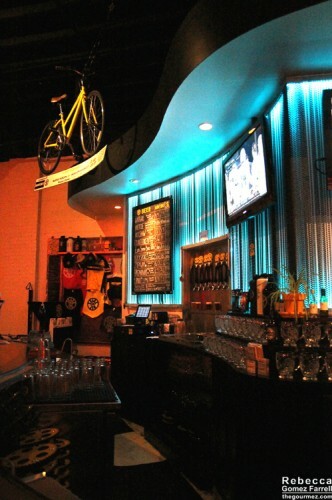 Make sure you give the cranks on the back wall a whirl or two or your experience won’t be complete! 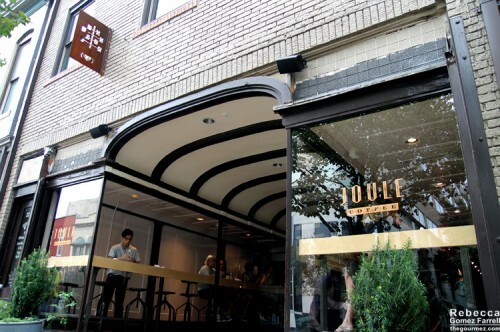 The next morning, I met up with fellow Triangle food blogger, Johanna Kramer, to give Joule (223 S. Wilmington St.) a try. 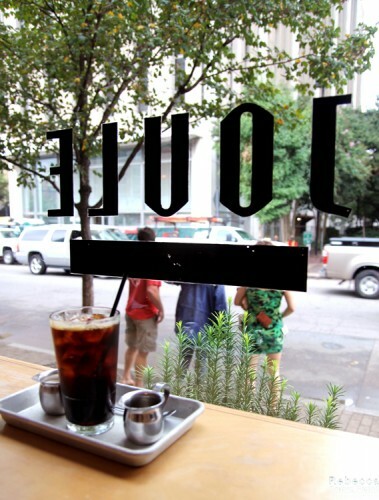 This coffee shop is the newest destination from 2014 James Beard Best Chef Southeast Ashley Christiansen, and it’s quite popular with the Raleigh brunch crowd. 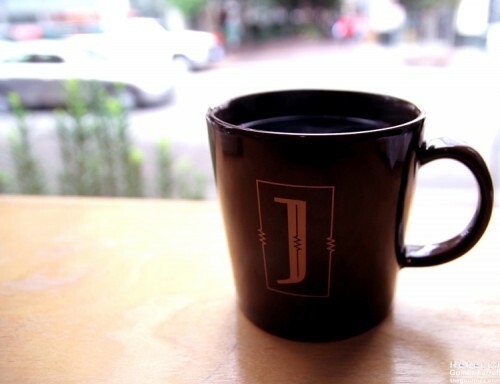 Somehow, Jo and I managed to get a prime spot right by the window, perfect for watching Triangulars stroll by. The coffee, provided by Counter Culture, is available in whatever espresso, pour-over, or cold brew form you prefer, though the espresso + milk menu was rather confusing (hint: just call it a mocha, not a chocolate add-in!). 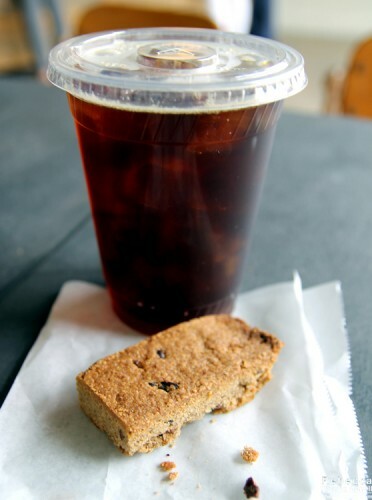 I did like the presentation of Jo’s iced coffee in that last picture and the simple mug for my Fincas el Puente pour-over. 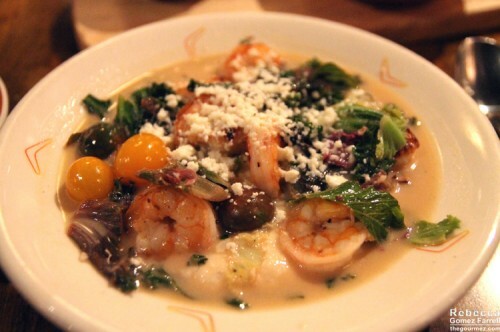 The food, I must admit, was overwhelming! Both Jo’s endive salad and my BLT Deluxe used quality ingredients with an understandably heavy reliance on heirloom tomatoes—they were fantastic—but the heaping mounds were rather difficult to eat. Breaking out the fork and knife for a sandwich is always a disappointing last resort, but that sourdough is the best I’ve had on the East Coast regardless. 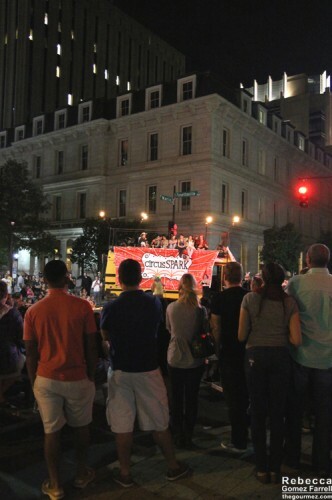 That weekend also happened to be the same one as SPARKCon, which was certainly fortuitous for me! 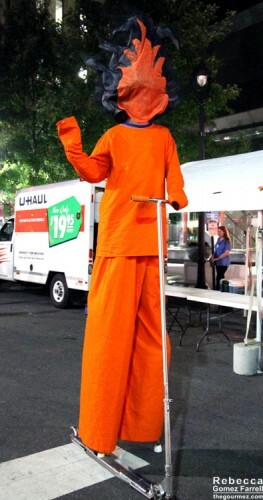 SPARKCon is an annual celebration of creativity in all fields, and I’ve attended it more years than I haven’t over the past decade. There are buses of circus people. What’s not to like? 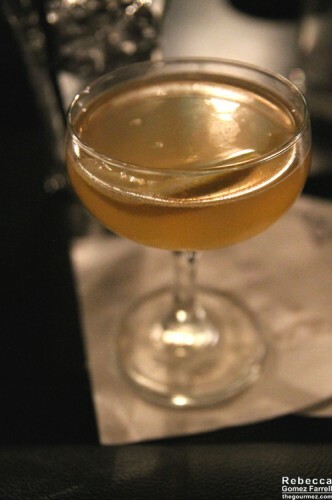 I let SPARKCon guide me to my next new hotspot, Common 414 (414 Fayetteville St.), a fancy cocktail joint going for a mid-century jazz club feel with sleek furniture and sleeker drinks. My Kingdom of Cuzco was an inventive blend of Gran Sierpe Pisco, Licor Cuarenta Y Tres, Demerara cinnamon syrup, and pineapple juice. 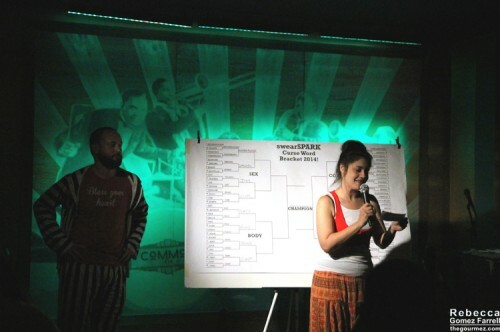 That should be reason enough to draw you out, but I was there for ComedySPARK’s battle of the curse words! Yep, that’s a bracket full of swear-word battles! The competition heated up with readings of classic literature and speeches with key words replaced in key moments. The winner? Avert your eyes, if you’re delicately tempered. After that event, well, I needed another drink. 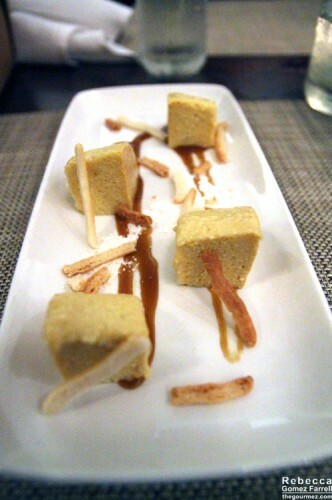 So onward I journeyed to Garland (14 W. Martin St.), a New American restaurant with Indian and Middle Eastern influences. It’s owned by the same people as next door’s King’s Barcade rock club. That entrance full of shiny glass shards is quite appealing, and the dimly lit interior was also nice. 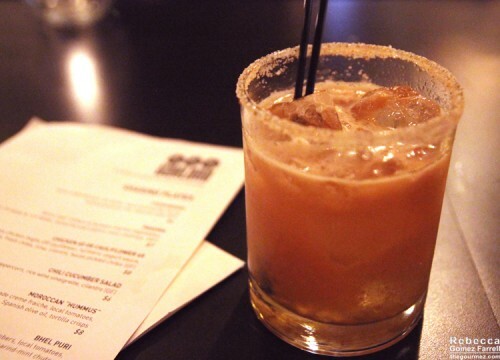 My Magdalena margarita was impressive in both appearance and the assured combination of savory flavors: tequila reposada, tamarind, mescal joven, agave, absinthe, and a cumin-salt rim. 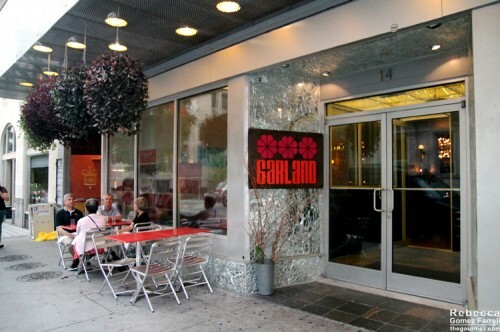 I can also heartily recommend Garland’s small plates, a great idea for grabbing a bite before catching a show next door, which is what I was about to do. 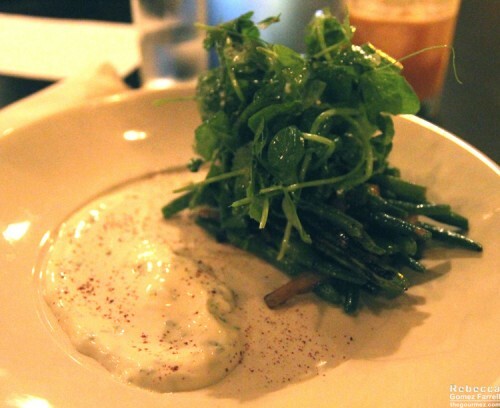 What could have been a simple side dish of roasted green beans was taken to the next level with crispy shoestring eggplants strips, a heap of watercress, and a light sumac and minted lebnah dressing. 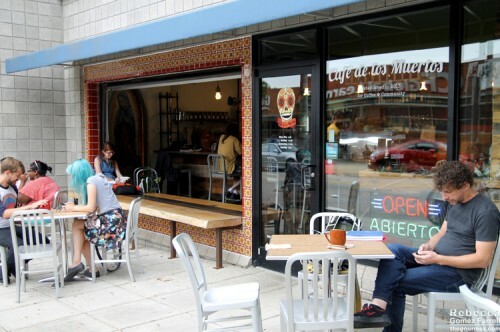 Sunday, my thoughts turned toward nonalcoholic beverages, and Café de los Muertes (300 W. Hargett St) proved to be just as impressive as all my Raleigh friends’ Instagram photos had shown. 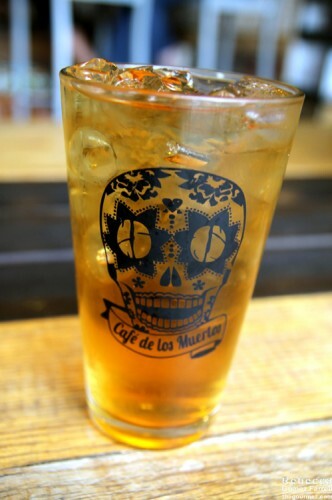 I’d had plenty of coffee at brunch, so as hangout time spread to early afternoon with the same friends, I opted to try one of Café de Los Muertes’s iced teas instead. The barista told me they have a staff member who forages for ingredients to turn into light syrups for the teas, and that day’s ended up being an absinthe-caramel syrup. I’m going to assume that absinthe was just a fancier way of saying green anise, as I’m 99% sure there was no alcohol involved. It came mixed into a delicious, white, coconut-cream tea. Delicate flavors all-around, so loathers of licorice need not worry. I’m not sure I could even pick it out of the balance. A+ Highly recommended. I bid adieu to those friends only to meet up with a handful more at Boulted Bread (614 W. South St.), a minimalist bakery south of the Warehouse District that’s received scads of local attention for their use of NC heirloom grains to make their breads, which they can do because they have their own stone mill. This is the storefront view walking up from downtown. I’m also borrowing my friend Sharon’s Instagram picture to show you the much more recognizable perspective coming from the other direction. At that point of the day, I still felt full from a large brunch at Irregardless Café (not new, so not reviewed….but it was tasty and so cozy! ), so I went for their smallest offering, a rye shortbread with chocolate nibs. It was quite unique, offering an excellent texture with just the smidge of sugar needed to make it a cookie. The cold-brew iced coffee was fine, but honestly, it’s not their focus. My friends tried an assortment of savory and sweet bread puddings, morning buns, and even a baguette for later. Their impressions were positive all around, though we wondered why they didn’t keep their large garage door/window open to capture the fresh breeze. But like I said—minimalist. This bakery’s about the bread, not the patrons’ comfort. 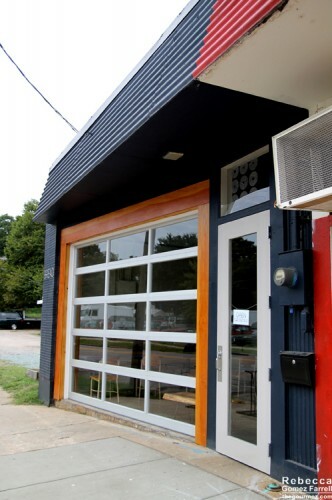 My final new Raleigh hotspot turned out to be the most memorable, but as it’s one of the News & Observer’s highest-rated restaurants in the Triangle, I expected that. I cheated, however; it’s over two years old, not only one, and it’s not walkable from downtown Raleigh—hey, a friend drove us, okay? Unlike me, Mandolin (2519 Fairview Rd.) 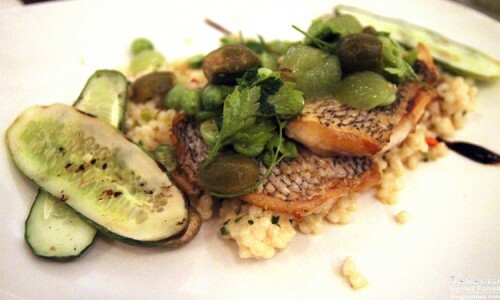 didn’t cheat at all on flavor, especially for my pair of expertly sautéed sheepshead filets served with amazingly creamy Israeli couscous, caper berries, grilled cucumbers, and muscadine grapes. I’m sure you can imagine that sweet and salty interplay. –though every bit as pretty. I must also give Mandolin accolades for providing a handful of virgin mocktails that were just as thoughtful as their cocktail list. 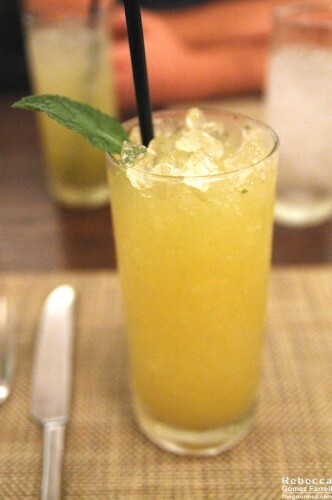 The house fixer with lemon, lime, orange, mint, ginger, cinnamon, and soda water was plenty tasty. I’m not entirely sure that my pawpaw pudding dessert was a success, but it sure provided interesting facial expressions from all four of us who tried it. 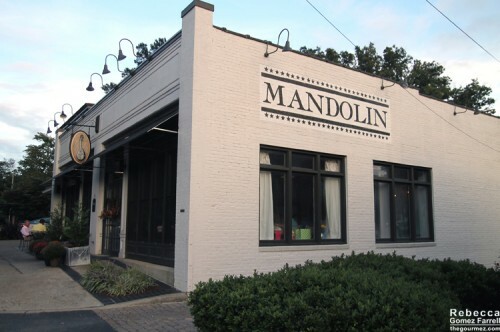 Mandolin shares a lot in common with Durham’s Revolution, for the record. 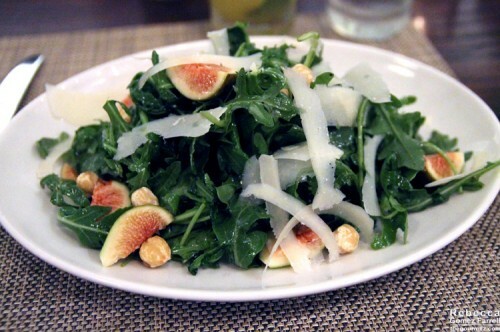 I sensed it in their similar, ultra-modern, white-heavy décor and in their dishes that know just how far to push the chef’s experimentation. Time to count ‘em! 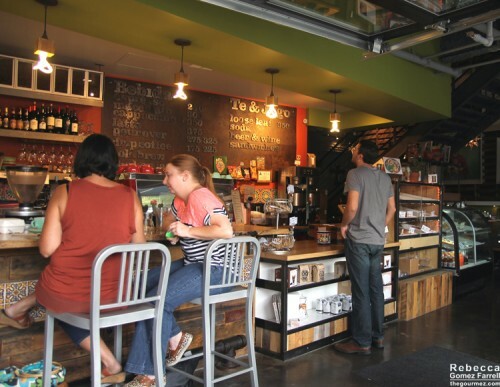 Each of those eight new Raleigh hotspots is worth a visit, but I’d put Mandolin, Garland, Café de los Muertes, and Boulted Bread highest on the priority list. I figured I’d rank them just in case you’re not as crazy as I am to try and fit them all in over one weekend. What can I say? It’s a lifestyle choice. All this consumption took place 12 Sept 14 to 14 Sept 14.
great write up! It was awesome seeing you. And that baguette was delicious, too. Happy to; it was a good excuse to try a new place…..